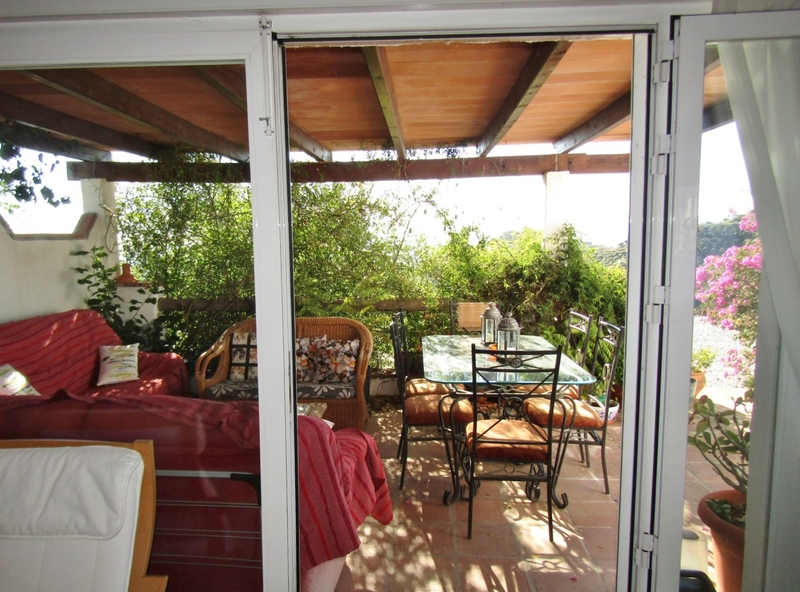 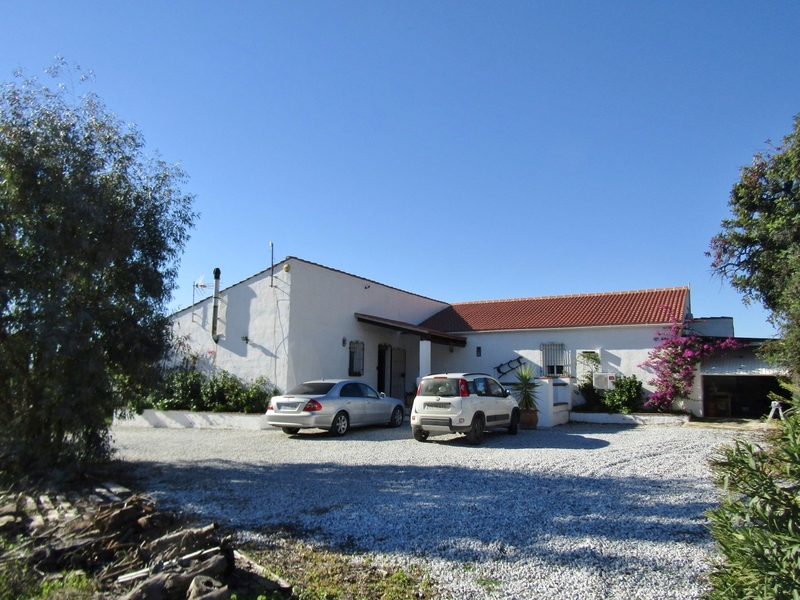 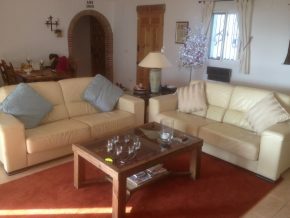 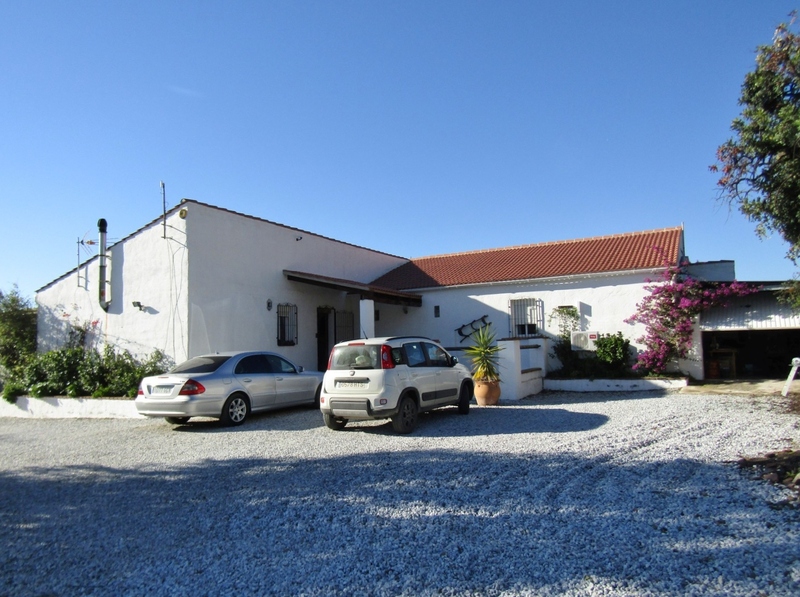 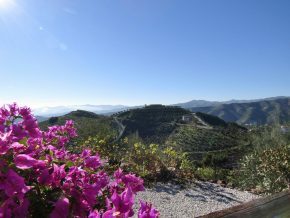 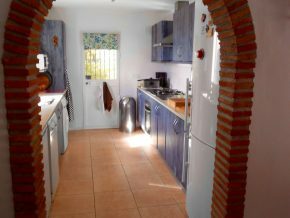 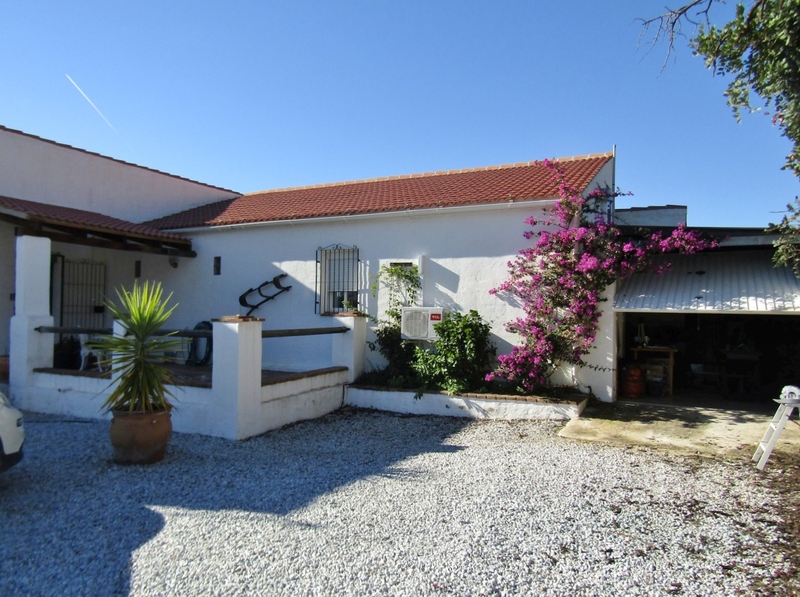 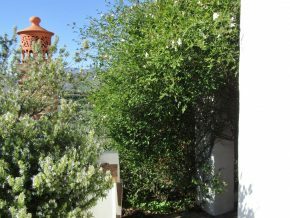 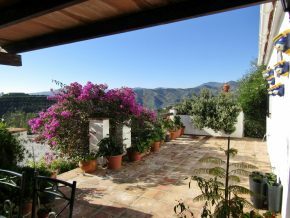 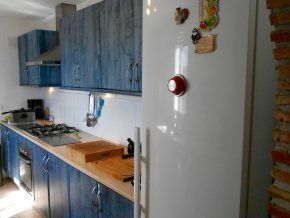 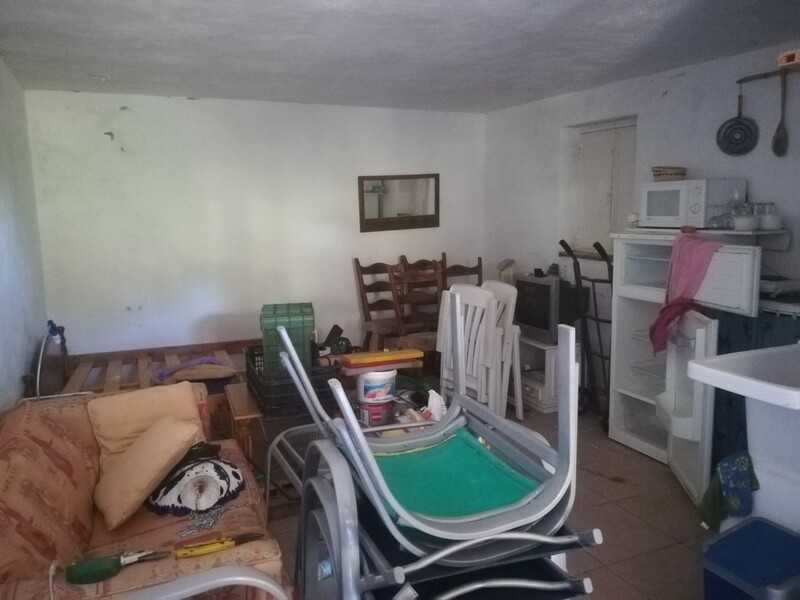 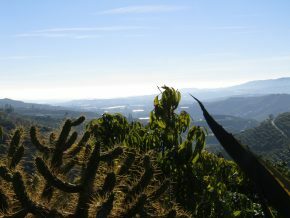 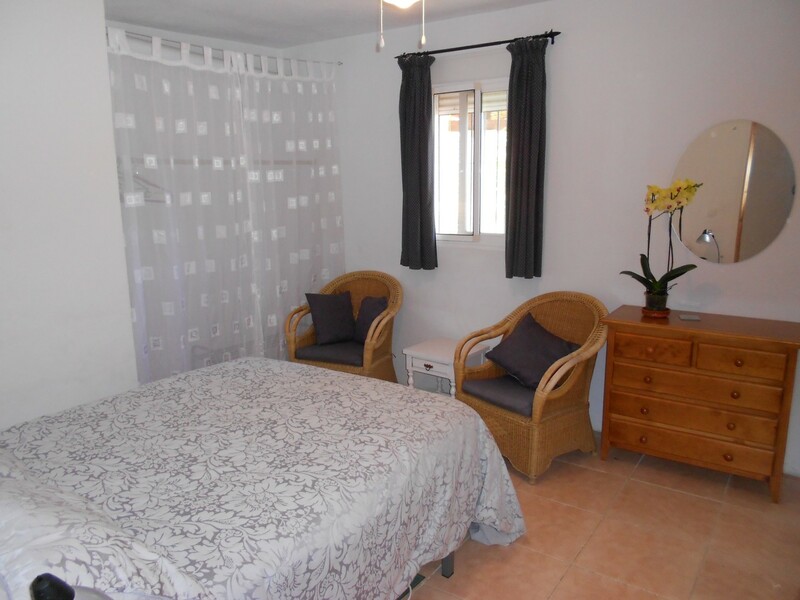 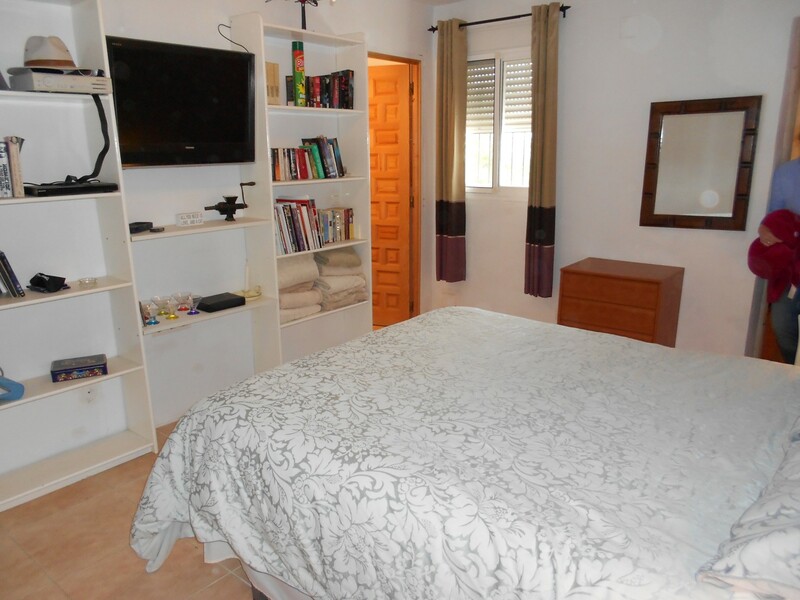 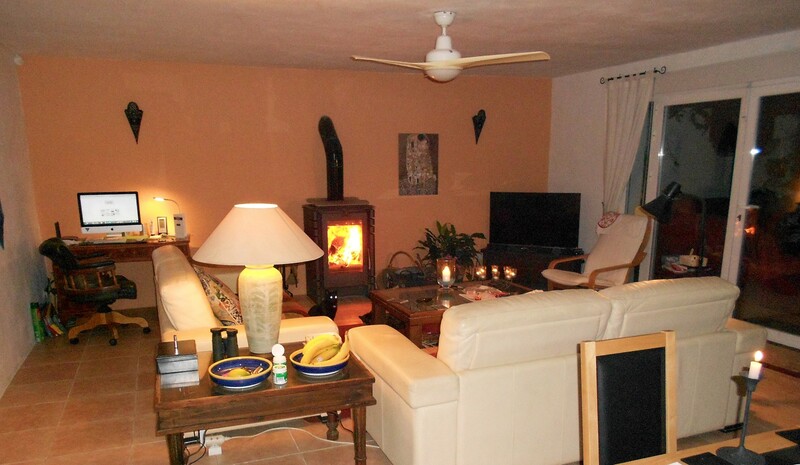 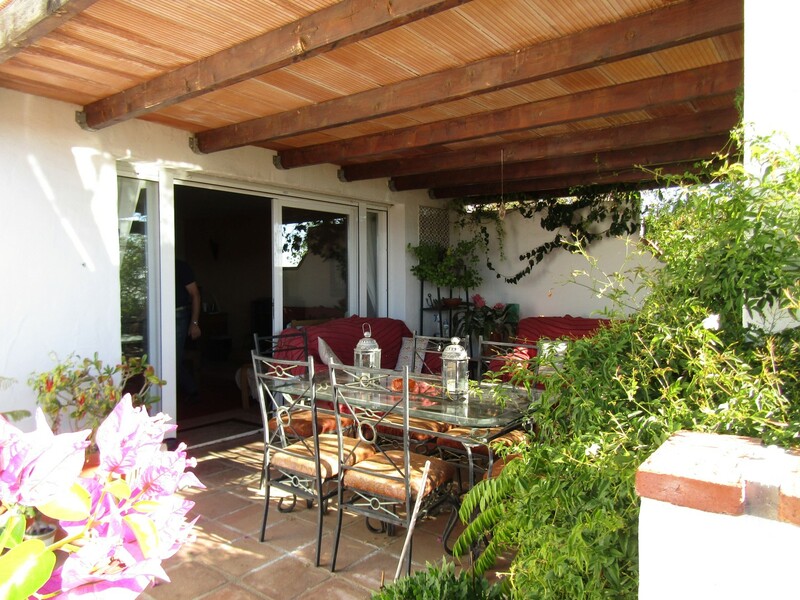 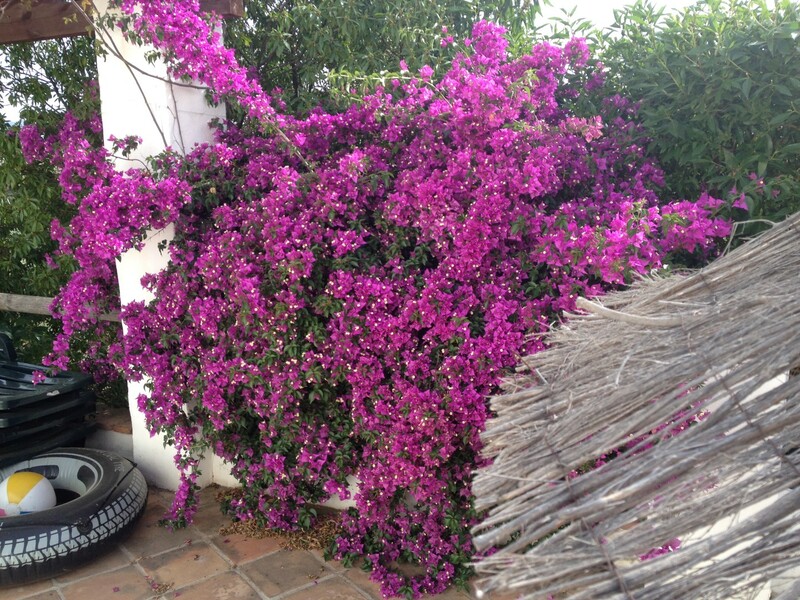 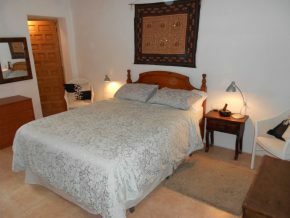 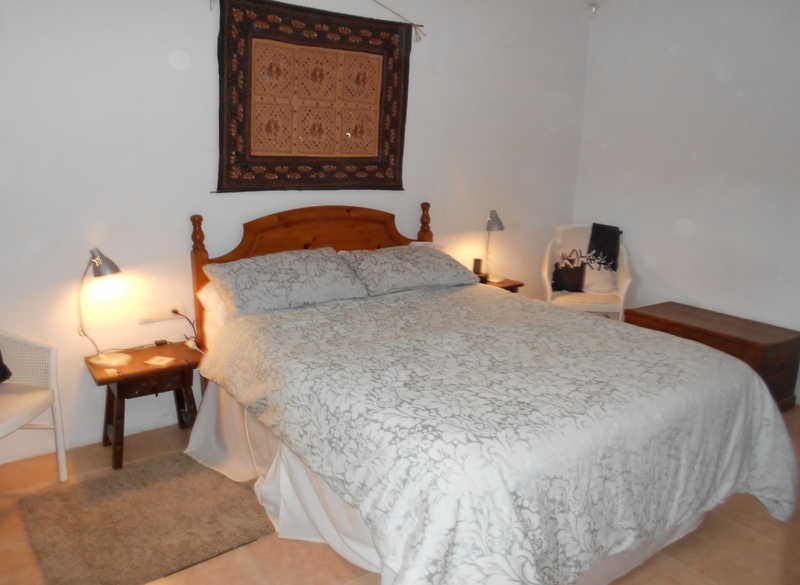 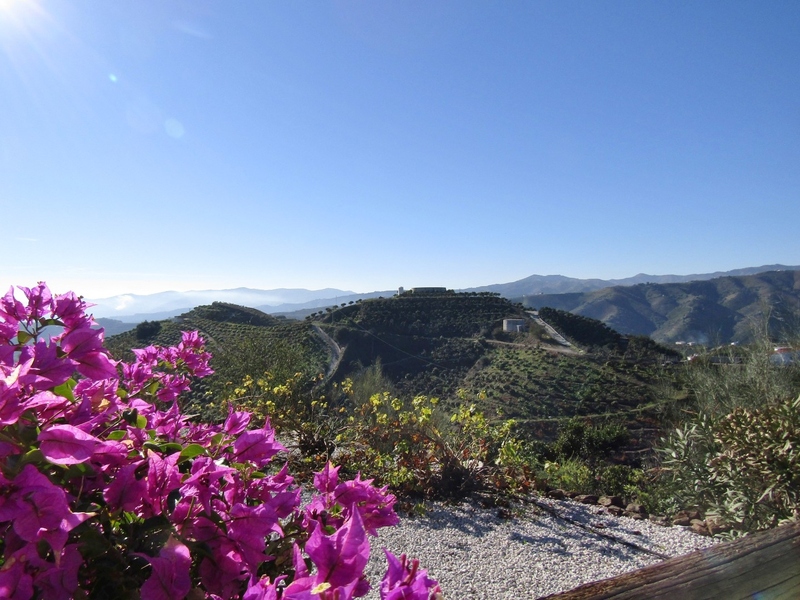 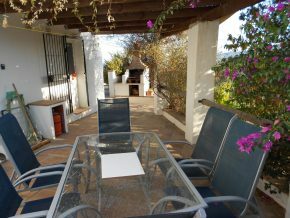 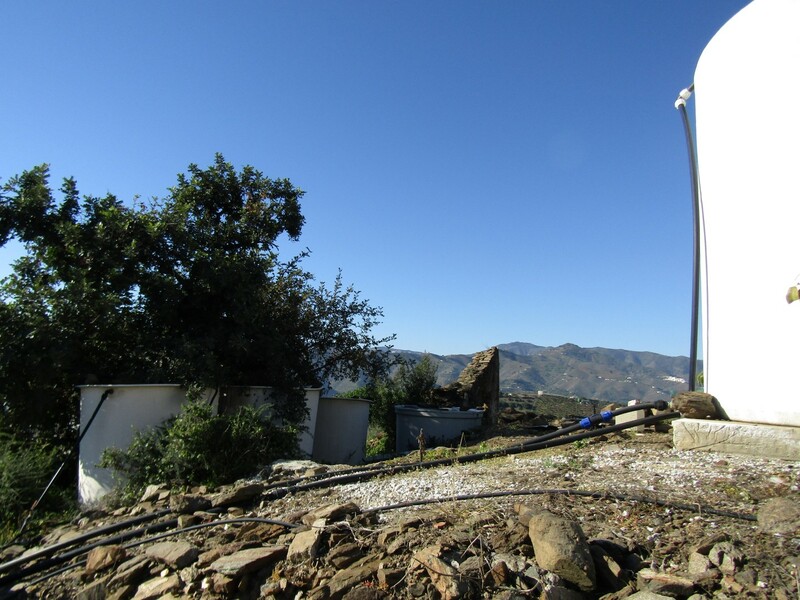 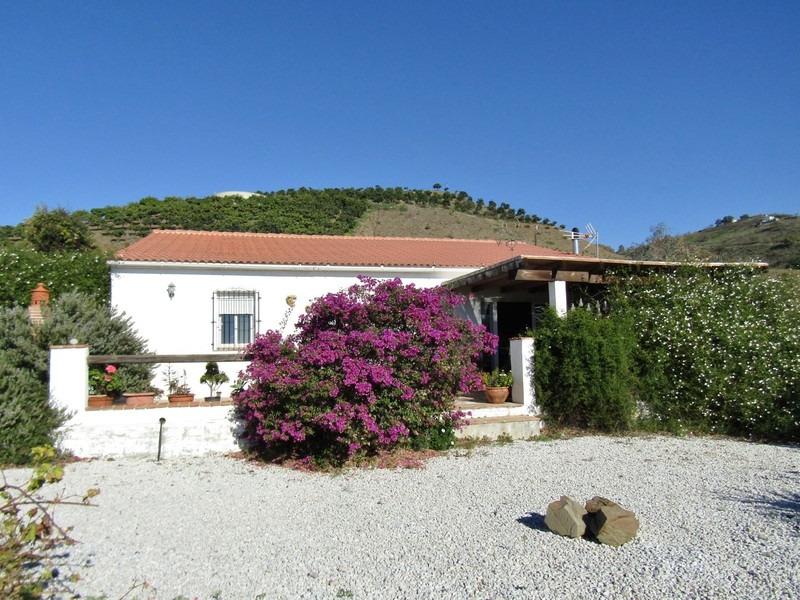 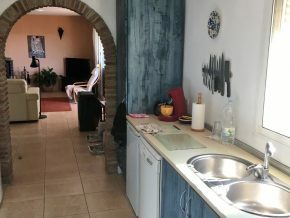 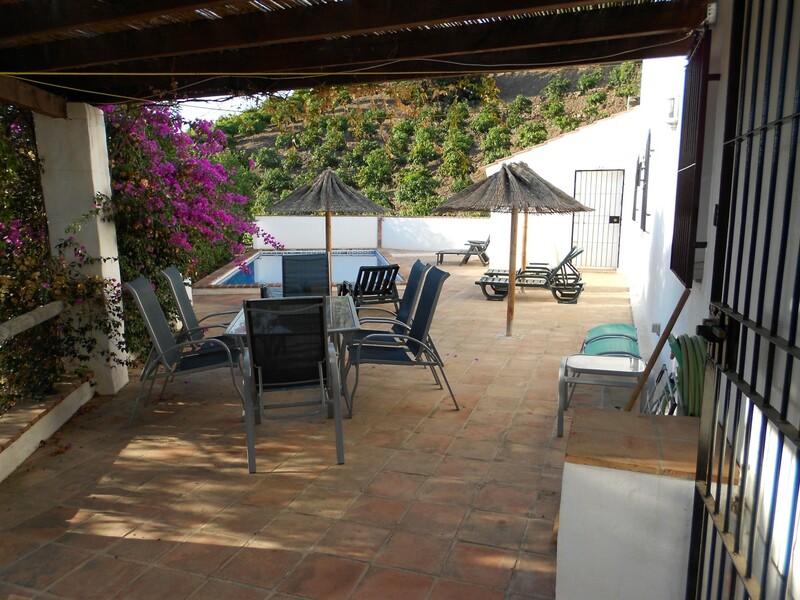 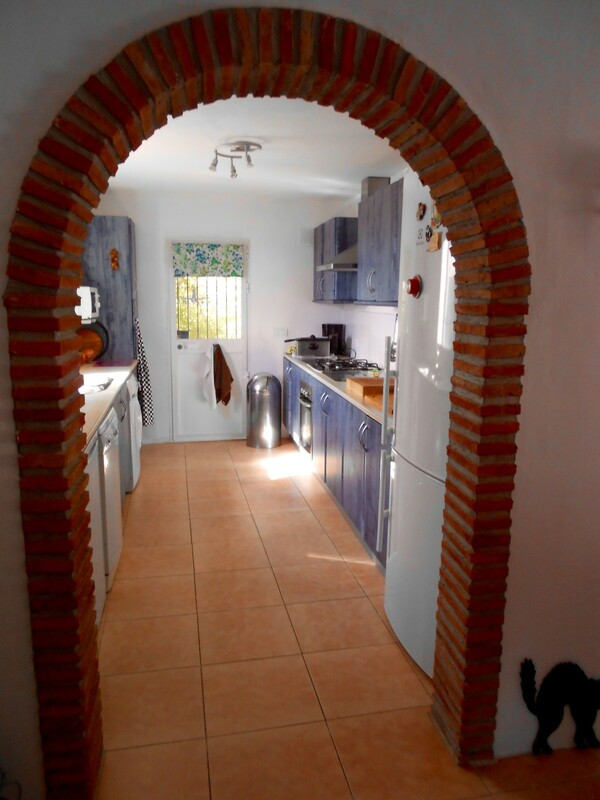 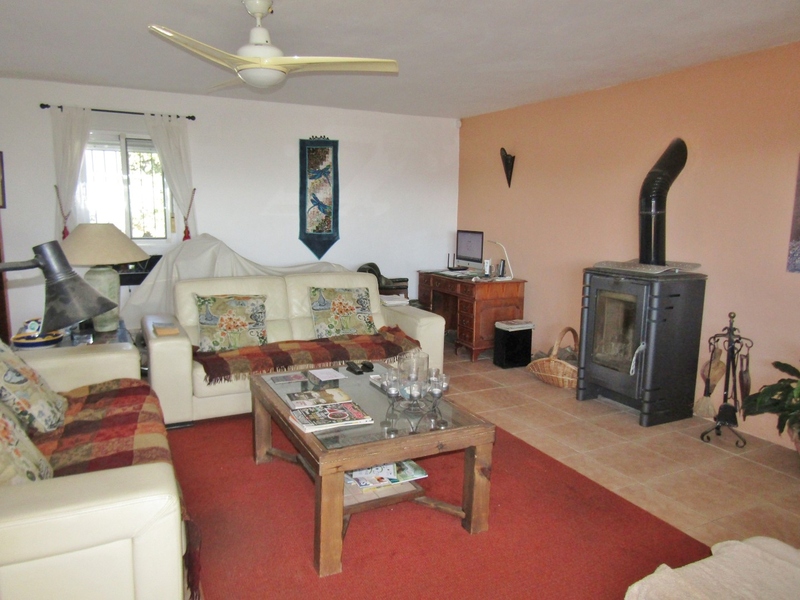 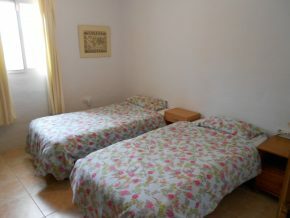 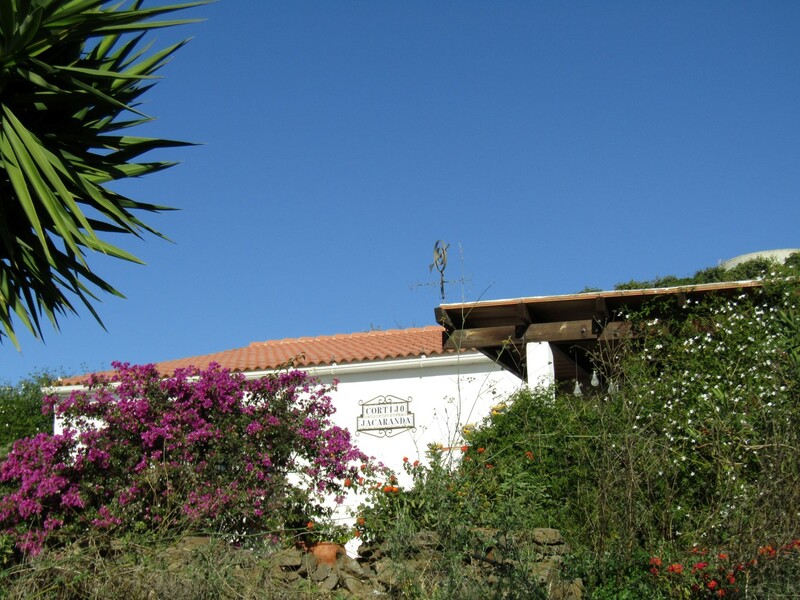 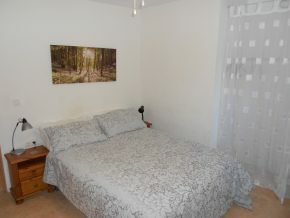 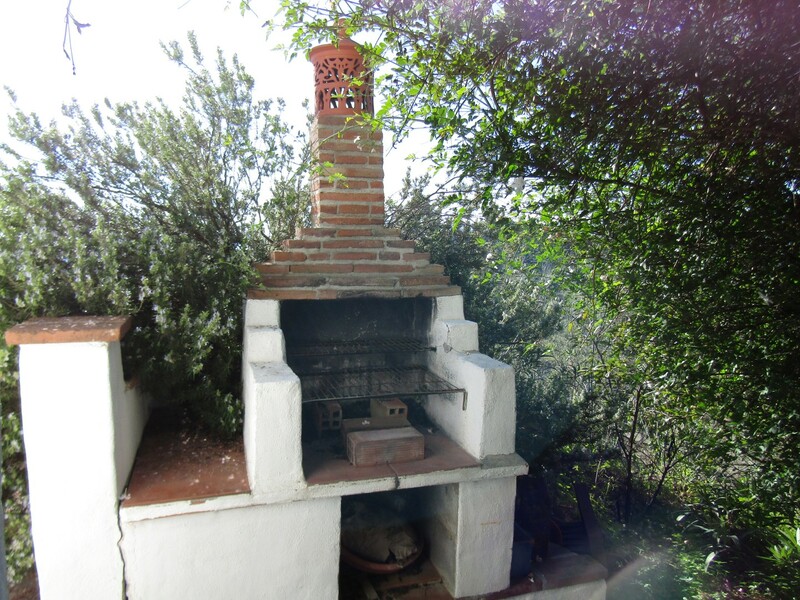 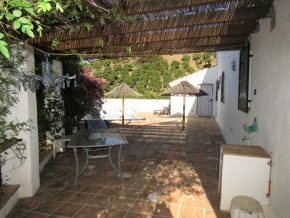 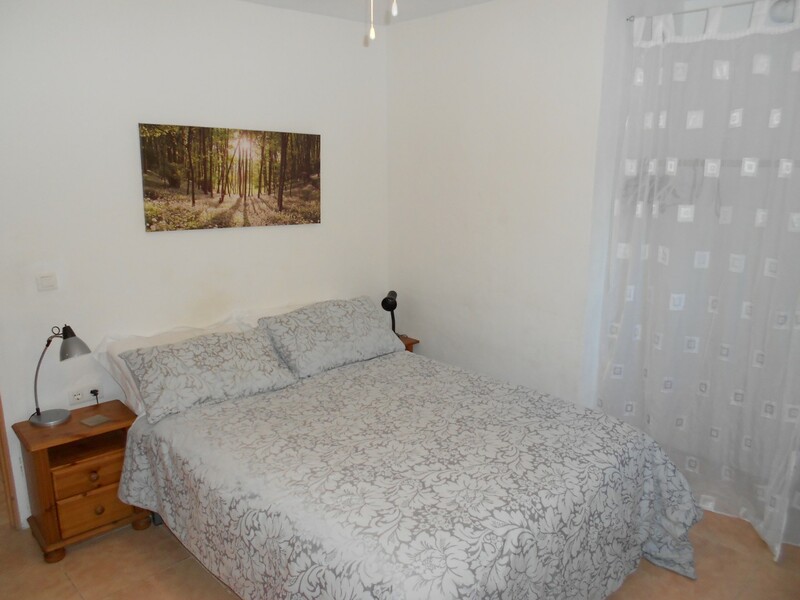 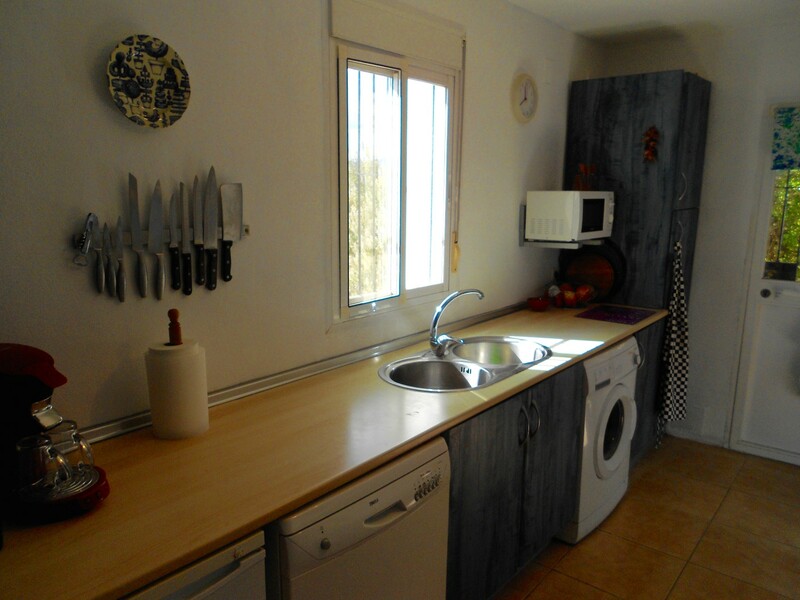 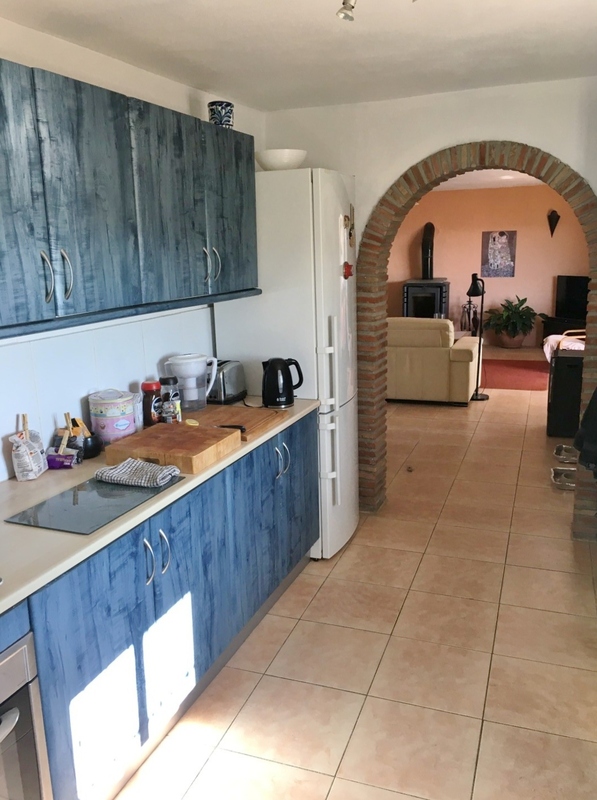 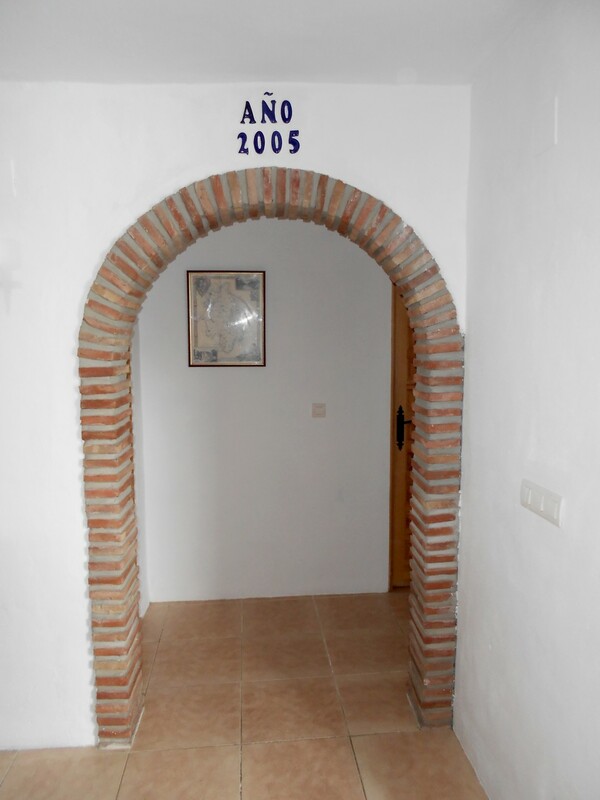 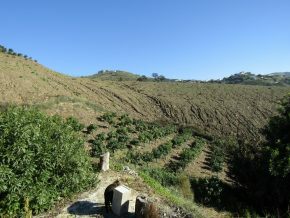 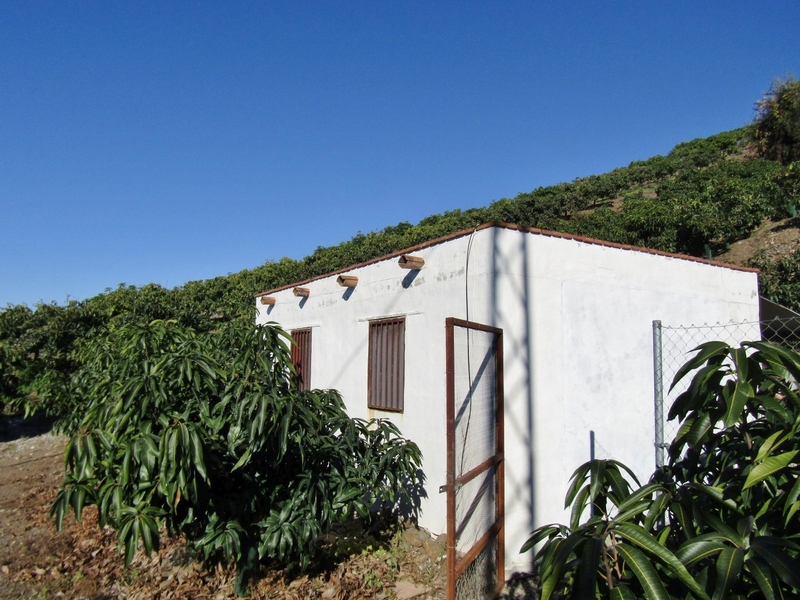 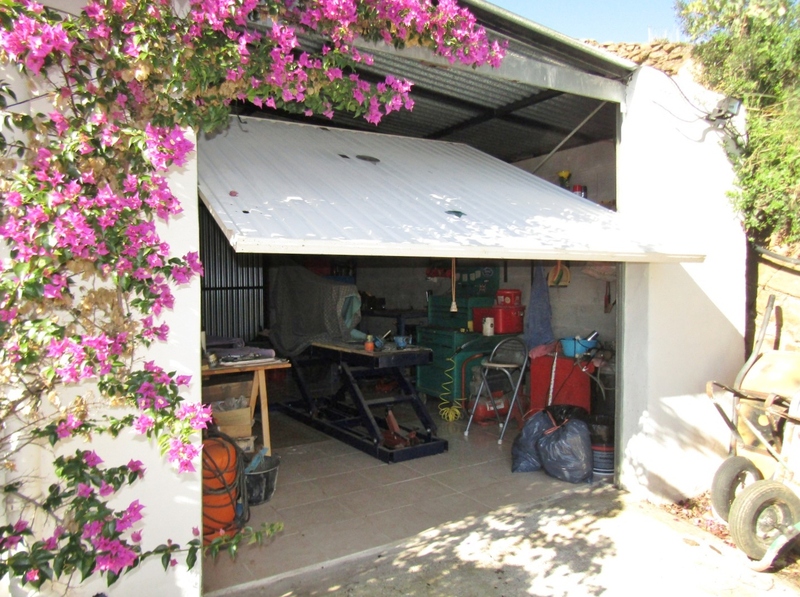 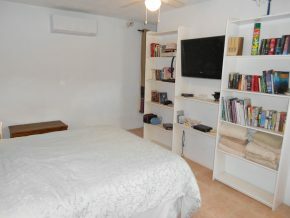 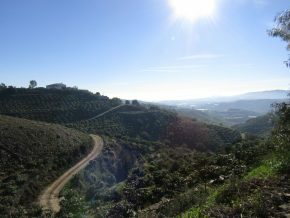 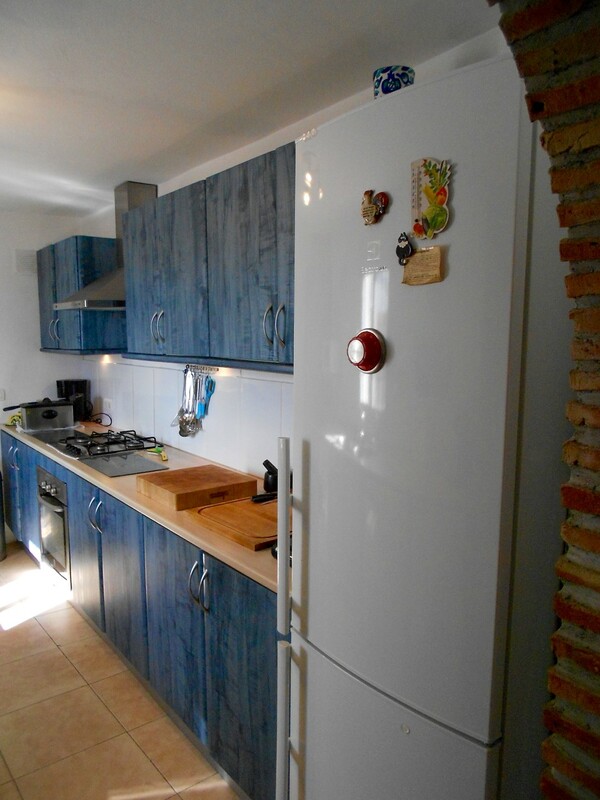 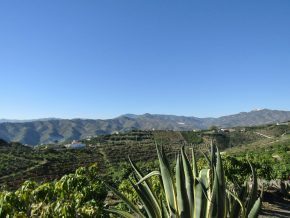 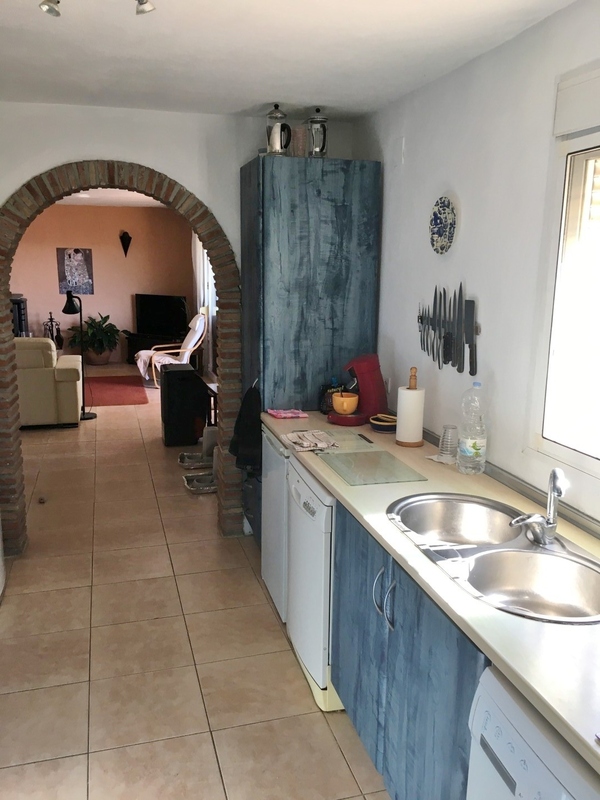 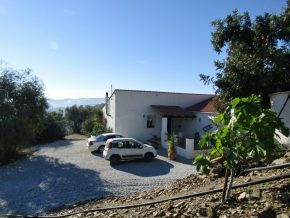 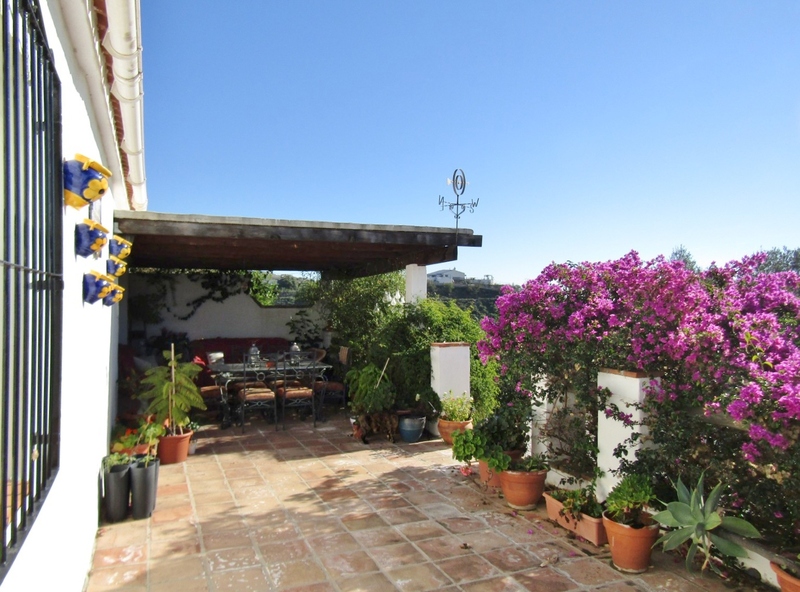 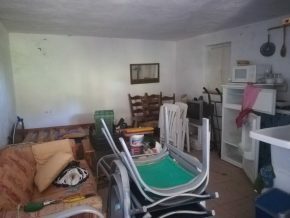 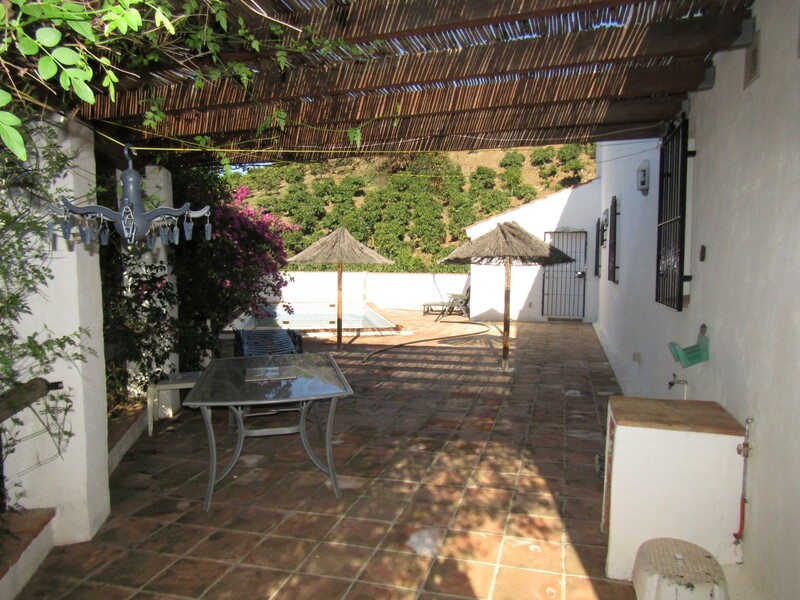 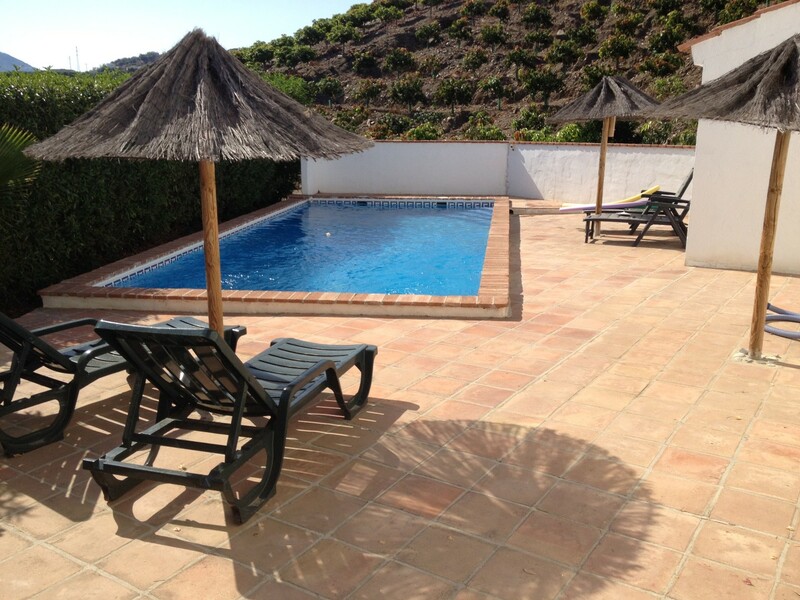 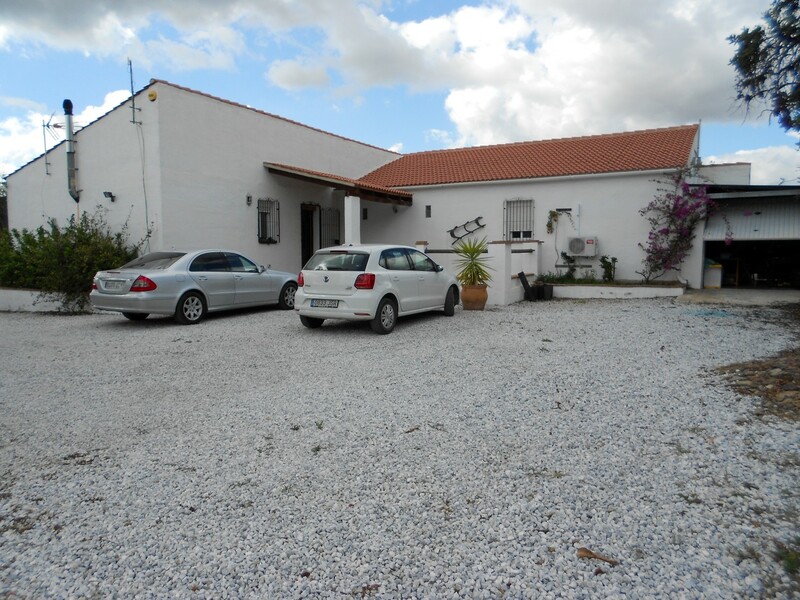 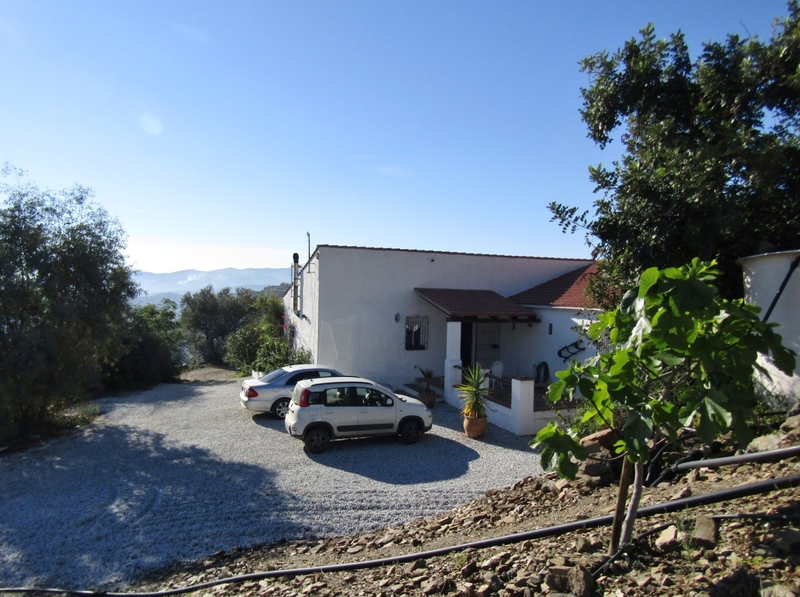 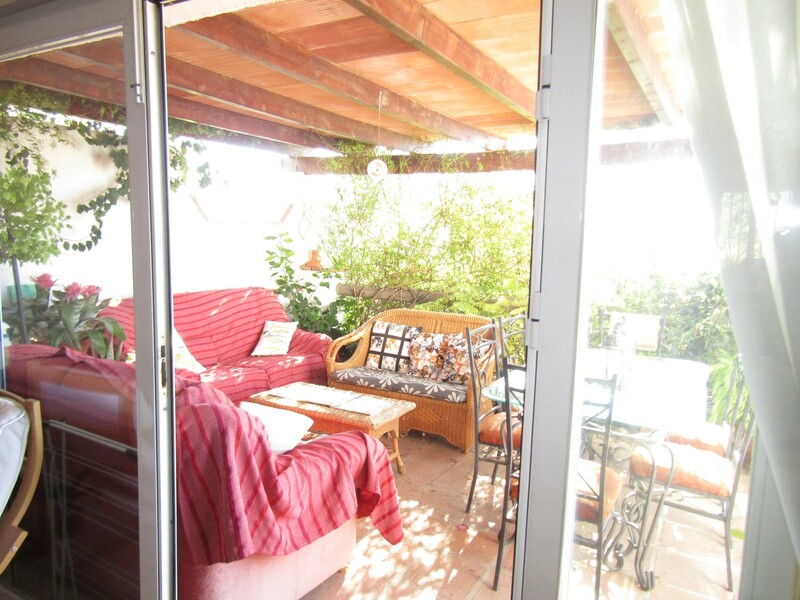 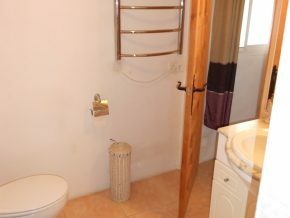 A very unusual and beautiful comfortable 3 bedroom home with a farm of 800 young, productive mango trees with own irrigation water, on a beautiful South facing hillside onto a few minutes drive from the village of Triana and 15 minutes from Velez-Malaga town, and the coast, just beyond. For anyone looking to live and work on their own property, this might be just right! 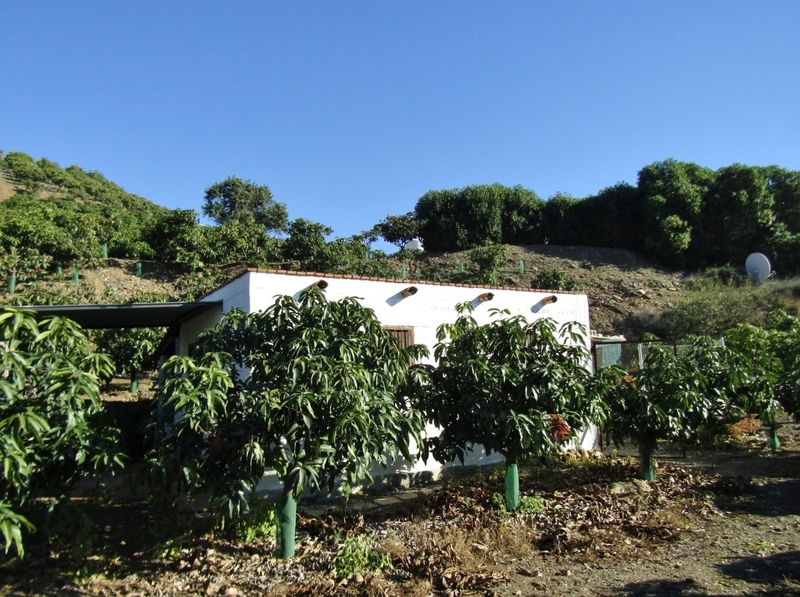 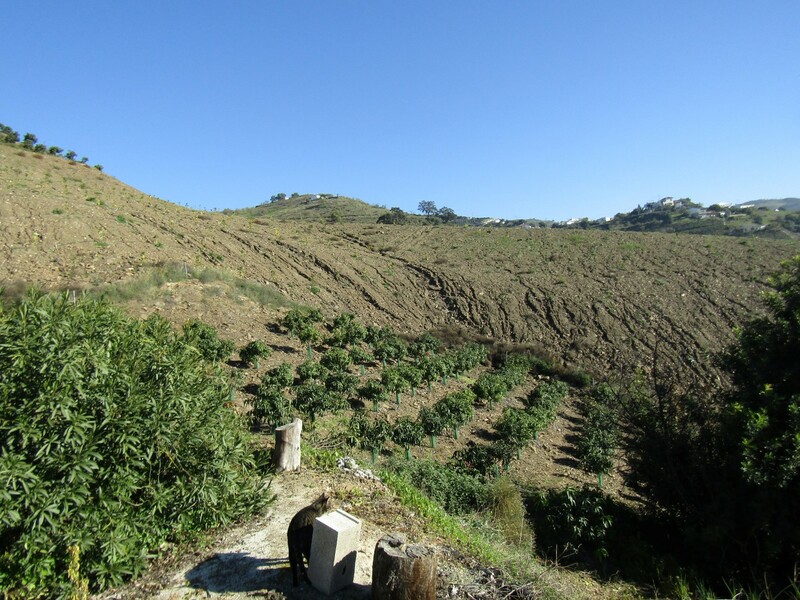 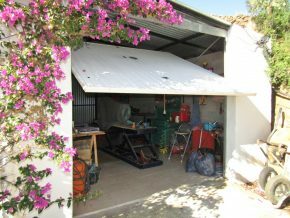 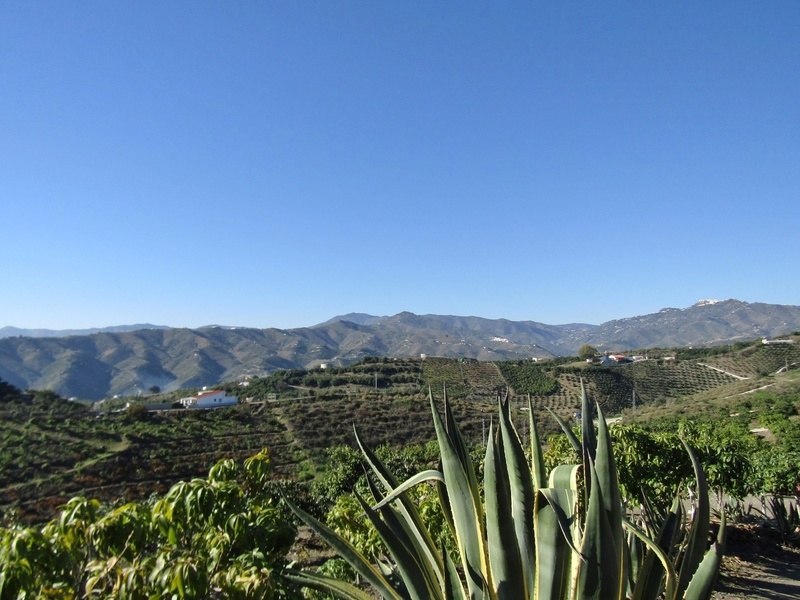 Located in the lush, warm low hills above the village of Triana, this working mango farm is now for sale for an excellent price. 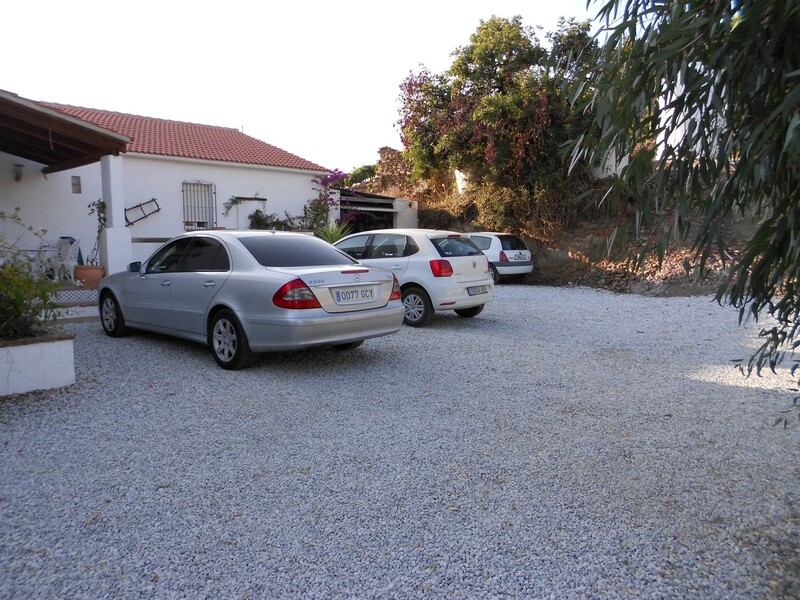 The private drive, off the mainly concrete country lane, accessed via automatic electric gates, leads up the hill amongst the mango trees to a spacious gravel car park by the house. 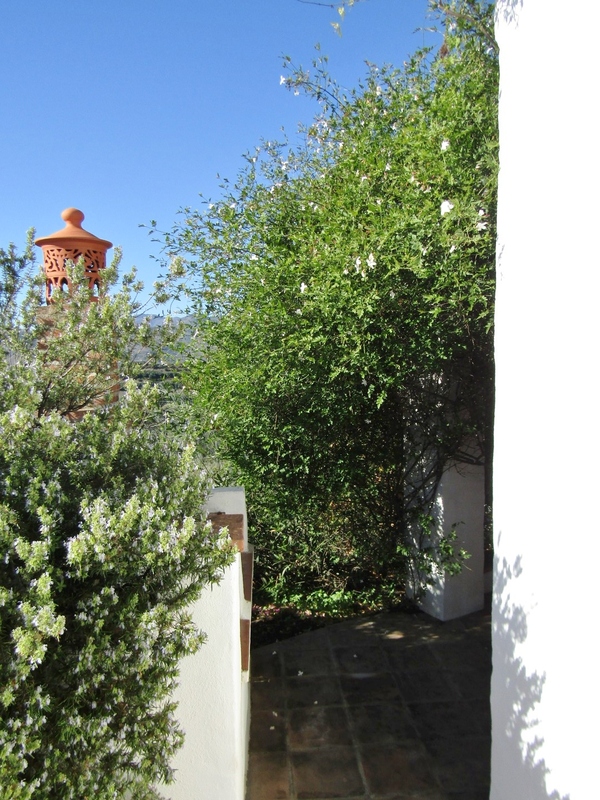 From here, the entrance to the house, which is all on one level, is via a large patio terrace area, of which 3.5 x 2.25m is covered and the rest open, a perfect place to have breakfast in the morning sunshine, surrounded by the many thousands of trees planted all around by the local farms. 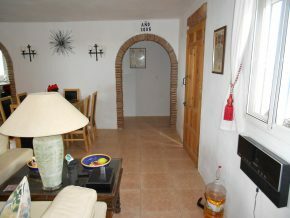 The front door leads from here into a large open plan living and dining room. 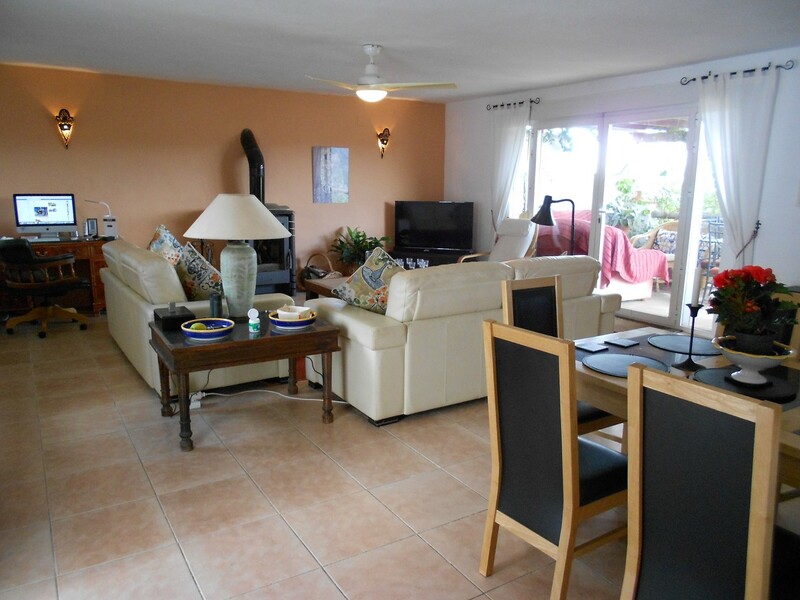 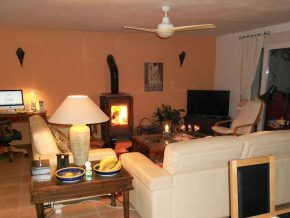 This spacious and comfortable room is 8 x 6m, with huge glass doors leading out to the South facing patio, a very large wood burner to the left, central ceiling fan, and to the far right, a brick decorated arch leading into the fully fitted kitchen (5 x 2.5m) with a door at the far end leading out onto the pool patio. 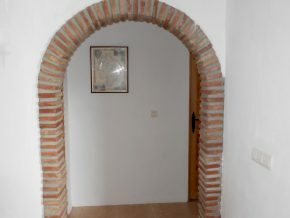 Back in the living room, a second arch by the front door leads off to the right. 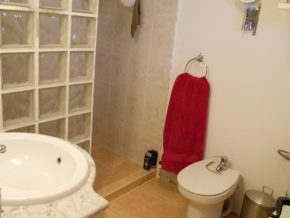 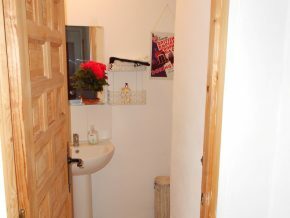 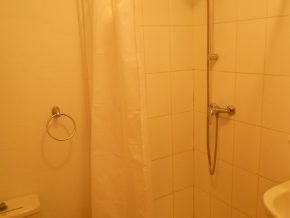 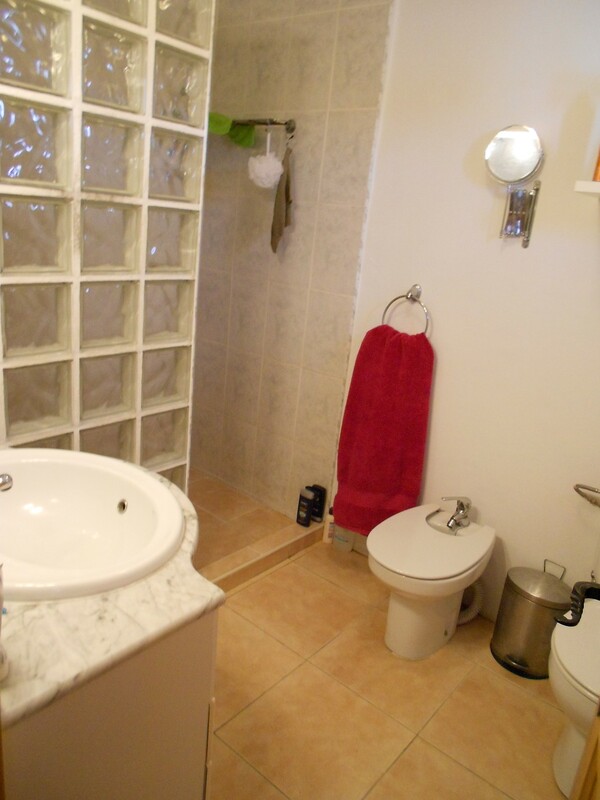 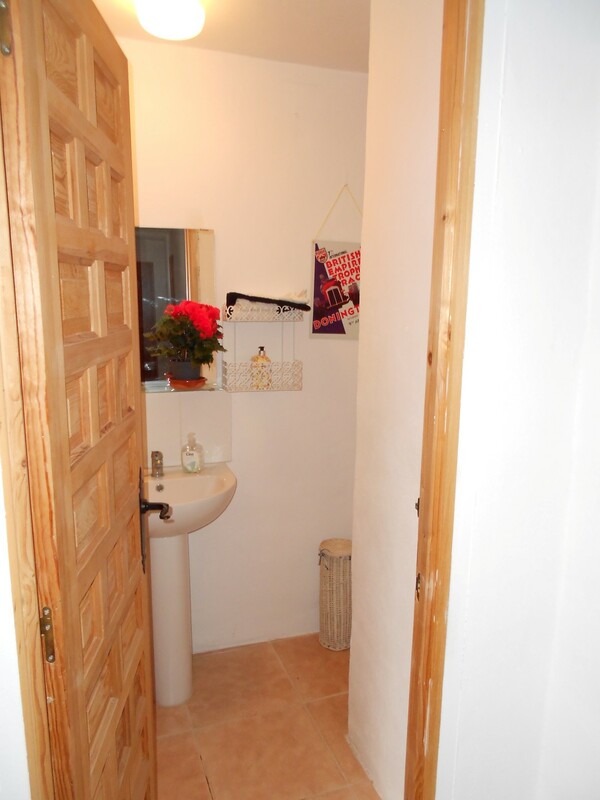 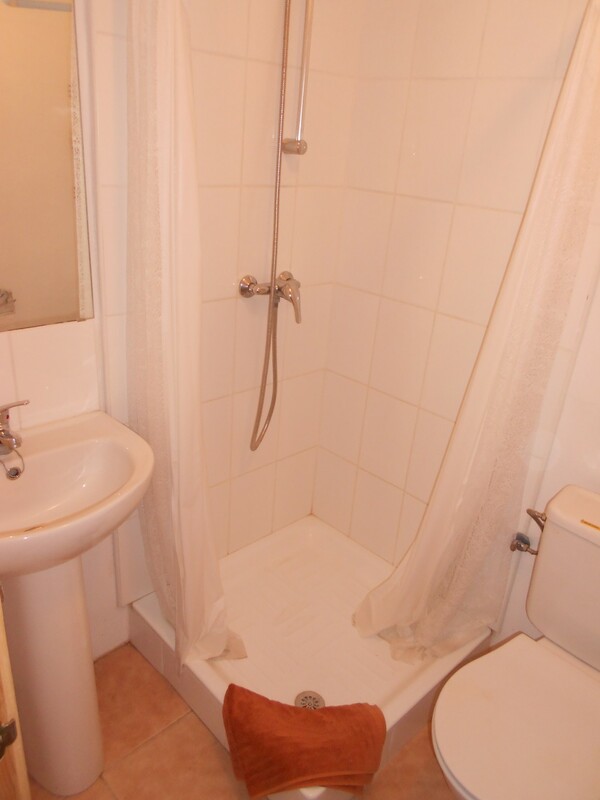 Here we have a corridor, leading to a WC (1.2 x 2m), bedroom 1 (3 x 3.5m including wardrobe) with ensuite shower room (1.75 x 1.5m), bedroom 2, which is the same size and with a mirror image ensuite shower room, and, at the far end of the corridor, bedroom 3, with built-in wardrobe area, main area of 4.5 x 4m with air conditioning, and ensuite double shower room (2.5 x 2m), plus a door at the far side to a spacious dressing room (could be an office) of 3.5 x 3m with its own door out to the very private pool and barbeque area. 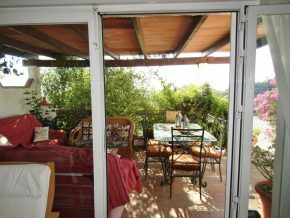 Returning to the living room, the dining terrace beyond the large double glass sliding doors has a covered area of 4.5 x 3.5m, and a further open area of 7 x 3.5m, with beautiful views to the South, across the countryside and down as far as the distant sea line on the horizon. 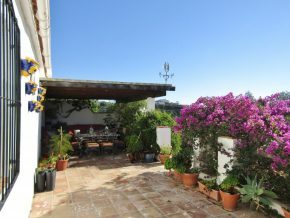 Turning the corner, we reach the totally private and delightful barbeque and pool terrace, part of which has a pergola cover, with cane covering, essential in the heat of the Summer, with a convenient door to the kitchen. The pool is 8 x 4m and not too deep, with a wall around the edges of the terrace, making it private and very pleasant indeed! 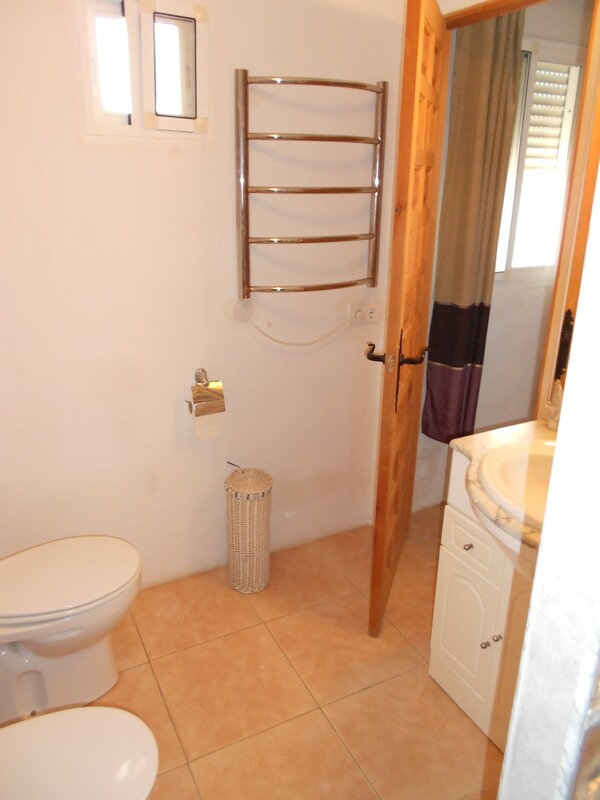 Located half way down the plot, surrounded by trees, this useful store is around 5 x 4m plus a shower room. 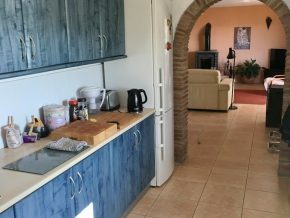 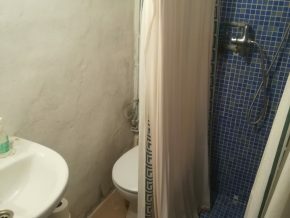 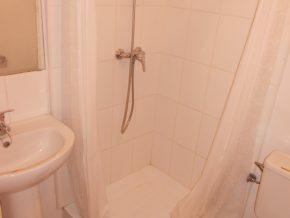 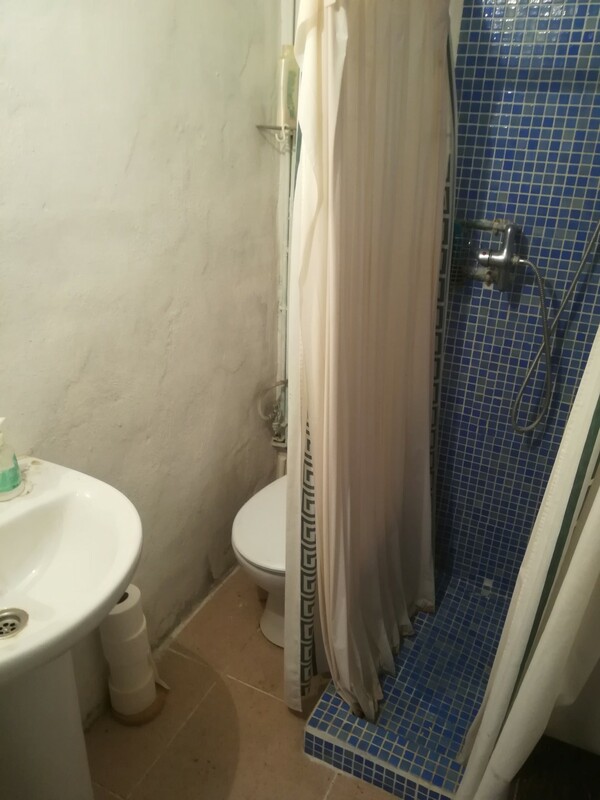 Indeed, the current owner has used it in the past to stay in while letting the main house and it could be equally useful for friends and relatives. 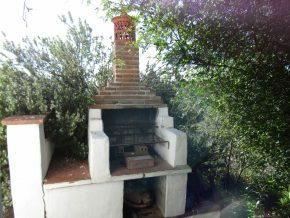 It even has its own little tiled terrace. 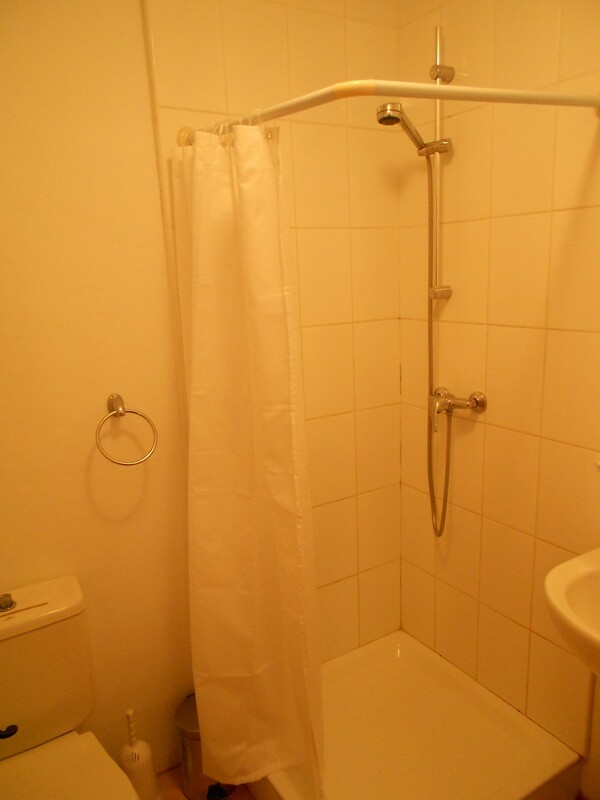 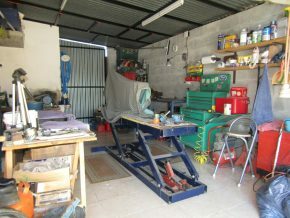 However, it is classified as a store room, and as such is very useful. 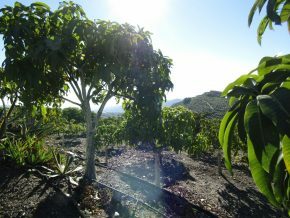 The plot is around 12,000m2 and currently has 800 productive mango trees. Currently, income is at around 7,800 Euros per annum (based on 6000Kgs of yield). When the trees reach 10 years old (one section will reach 10 yrs in 2019) the yield is expected to be around 12 to 14,000 tonnes per year. 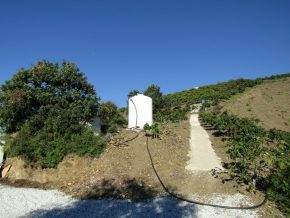 The trees are irrigated by fresh mountain water from the private well on site and the same water is used for domestic consumption in the house and outbuilding. 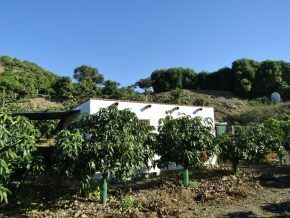 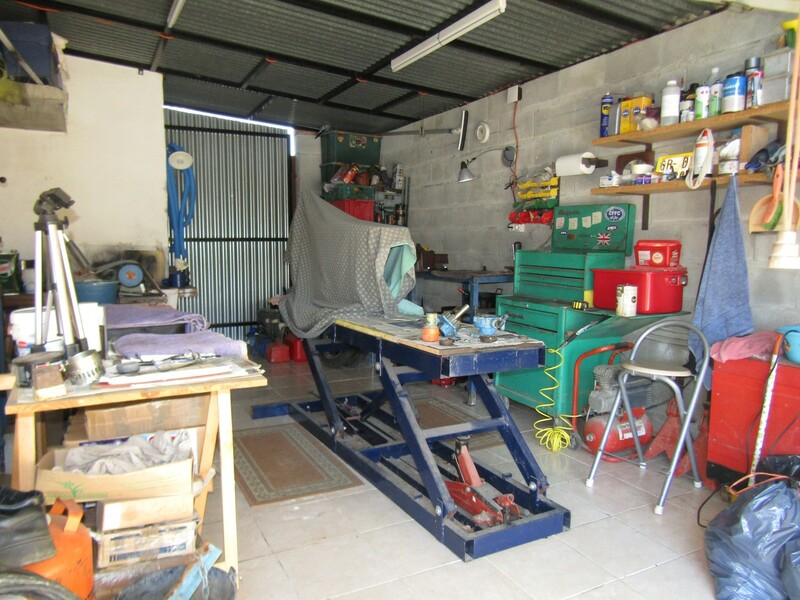 This property comes equipped with tractor and all equipment required to farm the land. 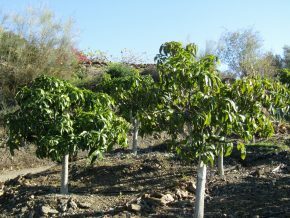 The plot also has several very good orange, lemon and lime trees. 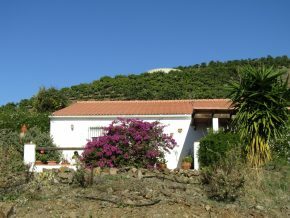 For anyone looking for a new, healthy, active way of life in the sun, this might just be the place!